Lee Slater has been an epic supporter of Kaibosh over the last five years! Not only does he donate money regularly to help us fight food poverty and food waste, he also organises Spring for Kaibosh, one of our largest fundraisers of the year. We feel very fortunate to be supported by incredible people like Lee! He shares about his journey with Kaibosh. My wife and I first heard about Kaibosh around five years ago through the One Percent Collective and have been regular donors ever since. I’m also co-organiser, along with Jenn Hadley, of Spring for Kaibosh, the musical fundraiser held at the Southern Cross for the last three years. Keep an eye out for next year’s event, which is guaranteed to go next level! The way the charity effects change on multiple levels. As well as helping to feed those in our community that need it most, Kaibosh also reduces waste (over 1,000,000 kg of food and counting) that would otherwise have ended up in the landfill. They reduce carbon emissions too. But, just as importantly they help over 65 charities around the region, acting as a conduit assisting a variety of worthy causes, raising awareness along the way. I have so many Kaibosh feel-good memories. In fact, every time I go to an event or visit HQ, I come away with my faith in humanity restored and re-energised! It’s the on-the-ground stories that stick with me the most though, such as reading about Kaibosh’s work with the Child Cancer Foundation in the Hutt Valley. The ripple effects are amazing. 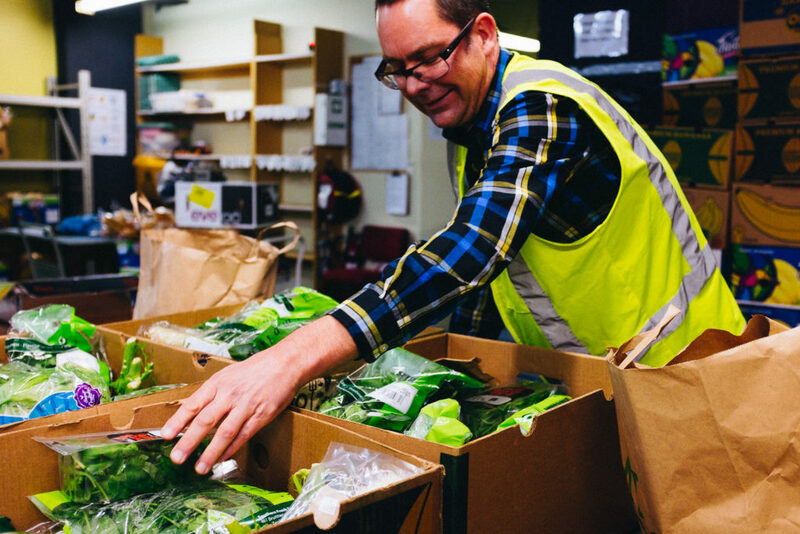 As well as providing immediate relief with boxes of fresh, nutritious food, the charities helps connect families with the larger network of organisations supporting our communities. This was a shamelessly staged publicity shot taken at the old Tennyson Street depot for 2016’s Spring for Kaibosh. The event organising team visited the depot to learn more about the charity and help sort rescued food before it was distributed to local charities. It was heartwarming to meet the volunteers who are all ages and from all walks of life. One fact I did find out recently though, is that females make up 80% of the volunteers at Kaibosh… Come on fellas, you’re making us look bad! Jokes aside, you can help out in other ways too by donating money ($20 can provide 20 meals), or just by spreading the word.